Learn about smart speakers, digital assistant development, and how they can impact your business. Voice technology is conquering the consumer market, thanks to the popularity of Google Assistant and Amazon's Alexa. Gartner estimates that 30-percent of our interactions with technology will occur via voice by the end of 2018. As the technology grows more powerful and refined, it's also becoming an influential channel in the worlds of business and medicine. The automobile and customer service industries are already seeing significant voice technology adoption. Amazon Alexa and Google Assistant are also transforming the world of health care by assisting surgeons in the ER and helping route injured patients to the nearest treatment centre. The development of conversational applications is poised to explode in the coming decade, already showing a similar, yet fast, adoption trajectory than mobile did in the previous ten years. With that in mind, let's take a closer look at the state of voice technology and some best practices for smart speaker application development and deployment. Amazon Alexa and Google Assistant are the two dominant voice-activated platforms for smart speakers in Canada. The smart speaker industry is changing at a dramatic pace, as both Amazon and Google are continuously developing more advanced voice recognition and machine learning technologies to power their popular digital assistant platforms. 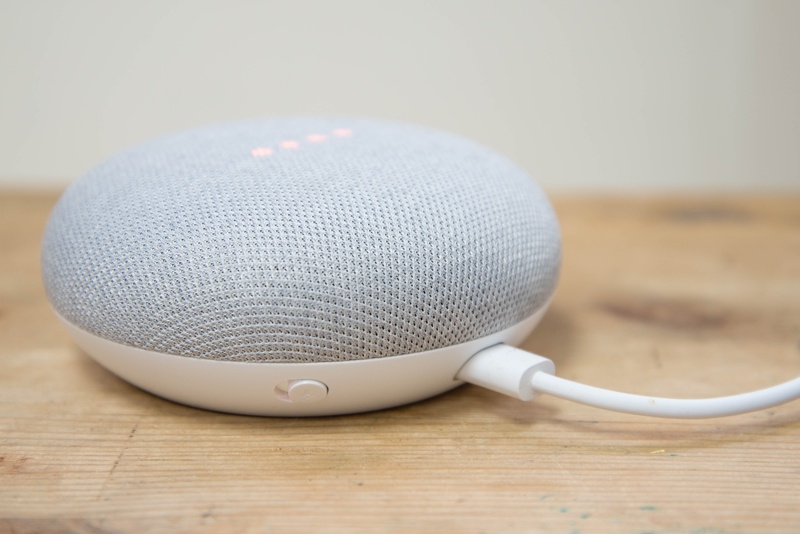 Google's latest technology allows its voice assistants to speak in uncannily accurate impersonations of humans (complete with stammers and pauses) and even book dinner reservations or schedule appointments over the phone. While the technology has progressed by leaps and bounds, there are some wrinkles of which to be aware of. First, don’t assume the 2 platforms are investing on the same roadmap and progressing at the same pace. As an example, at the time of writing this article, only Google supports French-speaking customers in Canada. Another point for business leaders to be aware of is that both platforms keep the voice interactions recording in the United-States, to train their AI on natural language processing. While it does not mean that you can’t provide personalized service to your end-users, a prudent product owner will ensure that personal information is not exchanged over the voice channel. For the last few years, given the massive investments many top technology firms have made in mobile offerings, developer mindshare has been squarely focused on mobile applications. Facebook, to cite one example, went from being a relative laggard in mobile to a dominant player in a short period of time. Today, developer attention is being directed toward the voice assistant-enabled smart speaker. Much like Facebook and other technology titans hailed mobile as the next big thing a few years ago, conversational applications delivered over voice technology is now regarded as the next great shift. Much as we migrated from using desktops and laptops to carrying tiny personal computers in our pockets, the world's largest tech firms believe voice technology will be the technological medium through which we negotiate life's myriad activities. In fact, it's already happening: A recent study by Accenture showed that roughly two-thirds of smartphone owners used their devices less often after buying a voice assistant. Meanwhile, it's estimated that 40-percent of U.S. homes now own a smart speaker. While voice may eventually supplant mobile, many of the same development principles can be carried over from mobile to voice. In the era of the battle of the platforms, developers will continue to focus on cross-platform functionality to facilitate optimal adoption. Businesses and developers should strive to ensure their applications work seamlessly regardless of the platform, while still taking into consideration the relative strengths and weaknesses (and varying capabilities) of individual platforms (although offering similar end-user experience, Alexa and Google Assistant expose different functionalities with various levels of maturity to developers). Providing a consistent user experience between platforms and channels will help ensure a consistent and enjoyable user experience -- one developers will also focus on centralizing the business logic and backend connections to minimize development and support cost associated with the service. Unlike mobile, there is no visual feedback to guide users through the operation of a new voice app. This means developers should strive to keep interaction design in mind, as the user must be clearly informed what the next steps are. The market for voice application development is booming as more organizations become aware of the significant competitive advantage to be earned by staying perched at the vanguard of this transformation. It's now estimated that there are now more than 30,000 Alexa skills - a nearly 600-percent increase from 2016. One of the most intriguing aspects of modern voice tech platforms is the ease by which new apps can be developed and deployed. Basic skills can be built in as little as five minutes using Amazon's APIs, for example. Once a developer has an idea for an app's function, the Amazon Skill Kit makes the process fairly simple and streamlined. While it is easy to give a kick at the can, businesses have typically more sophisticated demands to their development partners. The need to support complete and more complex user journeys, has created strong demands for voice-enabled tools, platforms and for developers who have the expertise to create more sophisticated solutions that can easily scale. While we're still in the early stages, voice is quickly becoming a must-support channel, by which businesses can increase their service value, convenience and relevancy to their customers’ lives. By following smart design practices, businesses and developers can create applications that work seamlessly and support the wants and needs of businesses and consumers.